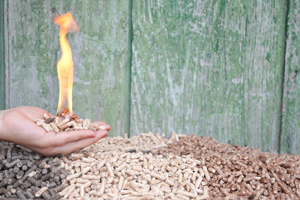 Pellets may be made from various sources of biomass, including hardwood sawdust, pine, and sunflower seeds. In need of a new heating system for your home in time for winter, or looking to make repairs to your current system? Solid-fuel heaters can reduce your reliance on conventional fossil fuels like oil and natural gas. They are available as boilers, furnaces, and multi-fuel units for whole-house heating, and as stoves and fireplace inserts that can heat smaller areas. 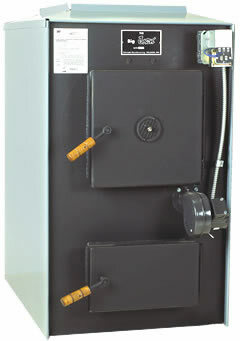 Dr. Energy Saver dealers specialize in solid-fuel heaters as well as all other types of home heating systems. These kinds of heaters tend to be well-suited to suburban living if you're willing to keep your system clean and safe. We can help you pick the best heater for your home, and we'll make sure you always have the support you need for maintenance and repairs. If you're interested in solid-fuel heaters for your home, Dr. Energy Saver can help you choose and install the right system for you. Schedule a home energy audit with your local dealer today! 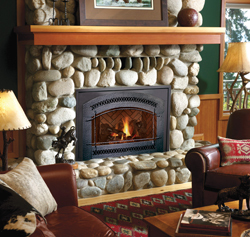 Fireplace inserts are designed to install in an existing fireplace and burn either wood, pellets, or gas. If you choose an EPA certified model, a fireplace insert will burn cleaner than a regular open fireplace. 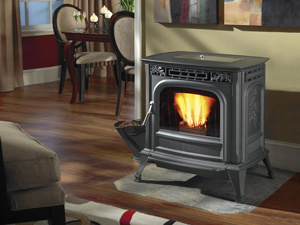 An insert that burns natural gas or propane fuel enables you to turn on a fire instantly. For people interested in saving on heating costs by using a fireplace insert, there are really only two choices: wood-burning inserts and pellet-fired inserts. Pellet inserts are designed to operate for extended periods of time, using an automatic power-feed system to supply pellets at a steady rate. For more intermittent use, a wood-burning insert is a better choice. Burning firewood in a wood stove is more efficient and usually safer than regular fireplaces. When burning wood in an open fireplace, a great deal of heat, from combustion and from your living space, escapes up the chimney, along with soot and other harmful combustion byproducts. This not only creates dangerous conditions around the fireplace, but it is also less environmentally conscious. A wood stove that has been certified by the EPA will burn cleaner and more completely, producing more warmth from a given amount of firewood. Today's wood stoves often incorporate soapstone for a more comfortable, radiant heat distribution. Resembling rabbit food, pellet fuel is made from sawdust and wood waste - material that would otherwise be dumped in a landfill. 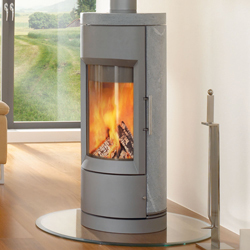 Even though a pellet stove looks like a wood stove, it operates differently, requiring a small amount of electricity to run its auger and fans. Exhaust gases from the stove can be vented through a narrow flue pipe or even through the wall. More advanced pellet stoves are equipped with a thermostat so that low fuel feed rates can be used at night or when heat demand is low. While a pellet stove may not have the same romantic ambiance as a wood stove or wood-burning fireplace, it's a smart way to heat if you're interested in saving money and turning away from fossil fuels. However, keep in mind that it's a heating option that requires work on the homeowner's part. You'll need to keep the stove's hopper filled with pellets, and find a dry, secure place to store your fuel. There are different types of wood furnaces available. Indoor wood furnaces are typically installed in the basement, and connected to a ductwork system just like any other type of forced-air furnace. Some indoor wood furnaces can be equipped to heat water, eliminating the need for a separate water heater. Some indoor wood furnaces are modified to burn other fuels in addition to wood. So-called multi-fuel furnaces are described by the combination of fuels they can burn: wood/oil, wood/gas, etc. The advantage of a multi-fuel furnace is that you can use wood as your primary fuel, but switch to oil or gas which keep the furnace operating automatically when you're not at home or when the wood supply isn't in use. Outdoor wood furnaces aren't furnaces in the truest sense because they are designed to heat water or an antifreeze solution. The heated liquid is pumped inside, where it can then be used as the heat source for a radiant heating system or a hydro-air system. No matter which kind of wood furnace you use, you'll have access to comfort and energy savings. Solid-fuel heaters of all types are far more efficient than their predecessors. New woodstoves, for example, are 30% more efficient than old ones. They're much cleaner-burning today, too. A new EPA-certified stove, at worst, produces less than 7.5 grams per hour (g/hr) compared to the 40-60 g/hr of older woodstoves. If you use sustainably harvested firewood, you won't be contributing to global warming at all. That's because the CO2 emissions that do remain are absorbed by new tree growth at roughly the same rate it is burned. Installing an efficient solid-fuel heater offered by Dr. Energy Saver, or repairing your existing system, is sure to increase your home comfort and lower your energy bills. Call or contact your local dealer online if you're ready to install this product in your home!